The TS5624 Disposable Diaphragm Valve features a “first to market” Disposable Material Path. Difficult fluids such as CA’s and pre-mixed two-part epoxies, can now be dispensed without the need of frequent cleaning, by simply replacing the entire wetted area in a matter of seconds, while the valve stays on the production line. The wetted parts are manufactured from black Polyethylene to prevent moisture and UV light come into contact with the dispense fluids. As a result, moisture sensitive fluids such as Cyanoacrylate and UV cured adhesives can be dispensed reliably and accurately. 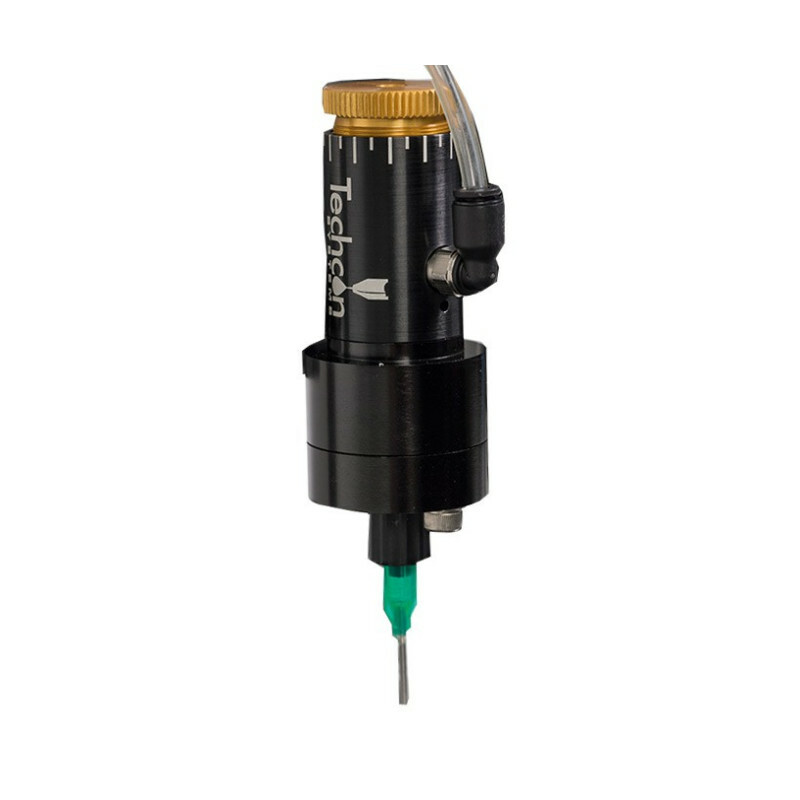 The TS5624 dispenses low to medium viscosity fluids over a wide range of shot and bead sizes, down to a fraction of a micro liter. An internal spring return makes the valves fully adaptable for use with Techcon Systems controllers. A short opening stroke provides an extremely fast and positive shut-off. The seal-less valve design offers an excellent moisture sensitive resistance and the incorporated diaphragm creates a barrier between the wetted parts and the air cylinder.